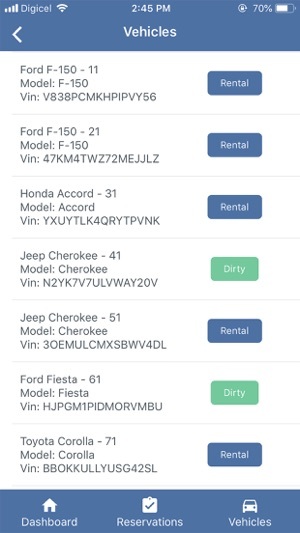 In short, you will be able to manage all your bookings, your fleet maintenance, and your customers. This mobile app focuses on the check-in and check-out process when a customer comes to pick-up or return a vehicle. 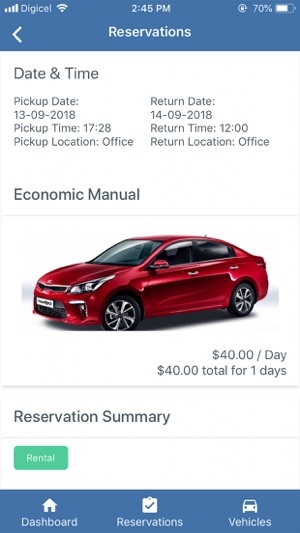 From your phone, you are able to assign a vehicle to the reservation and take pictures of the vehicle that will be added to the Rental Agreement. 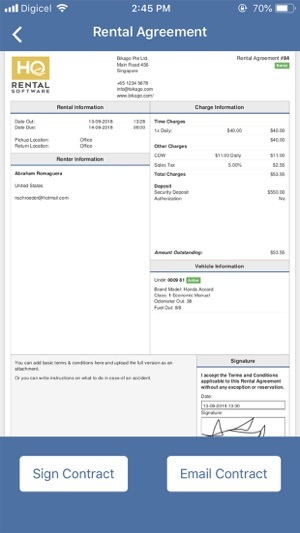 The Rental Agreement can then be signed from the phone and is emailed to the customer. 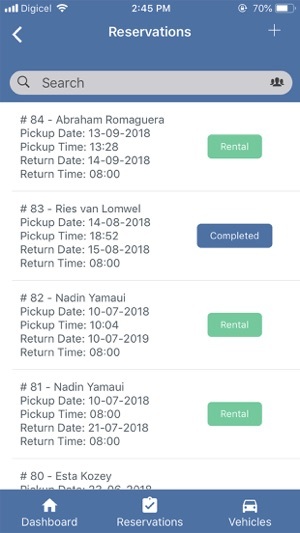 In this first version of the Mobile App it is not yet possible to create new reservations.